Since 2007 I have called Honolulu, Hawaii my home. After traveling around the world for many years, from Ecuador to the United States to Canada to Germany to Italy to Mexico and then back to the United States, I cannot imagine living anywhere else. 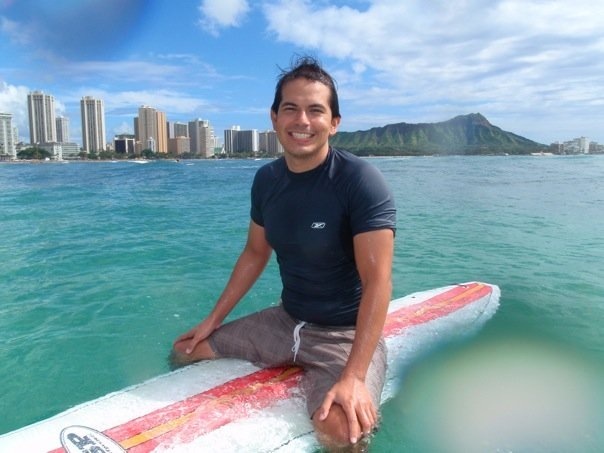 Living in the island of Oahu, I am surrounded by the Pacific Ocean and I love it. 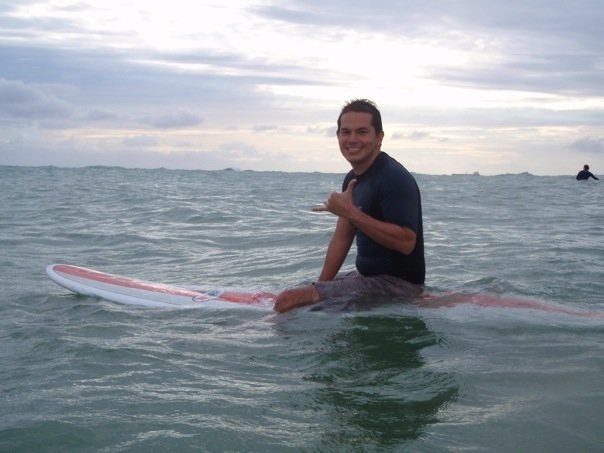 With my wife we love to practice many ocean sports, particularly surfing, stand-up paddle boarding and spearfishing. Based on our ocean adventures here in Hawaii, I recommend these four great gadgets for ocean sports. If you don’t have a picture, it didn’t happen. 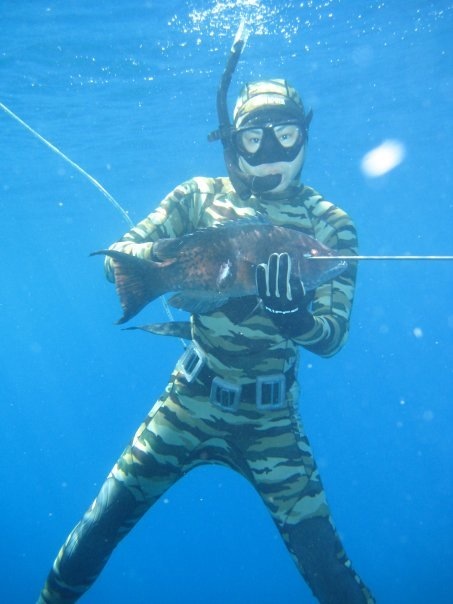 People often believe us that we can get out there and spearfish. This ought to put the naysayers at ease. One of the most fun things to do while out in the water, it is to play around with a durable, underwater camera. 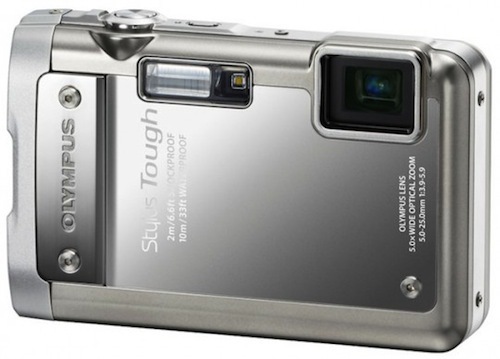 We have found that the Olympus Stylus Tough 8010 (pictured below) is a very versatile and user friendly camera to shoot any activities underwater. Both the spearfishing picture of my wife underwater and the picture of me surfing near Diamond Head were shot with the Olympus Stylus Tough 8010. As you can see the camera performs great both above and under water. Stand-up paddle boarding and kayaking can be a lot of fun but it definitely they can get a bit monotonous after a while. The perfect solution is to have some great tunes while out in the ocean. 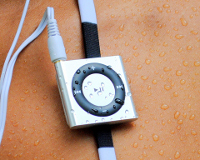 The Waterproof iPod Shuffle from Underwater Audio is a tiny, lightweight device that can clip just about anywhere. Here you can see how it can easily attach to a strip of a bikini top. I recommend it because it is both Mac and PC compatible, holds hundreds of songs, has a strong clip and can be controlled with your voice or a single click. And my wife just loves that she can choose from several colors so it can match her bikini. 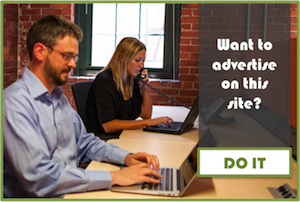 The guys at Underwater Radio offer you the choice of getting a brand new one or sending yours in for waterproofing. 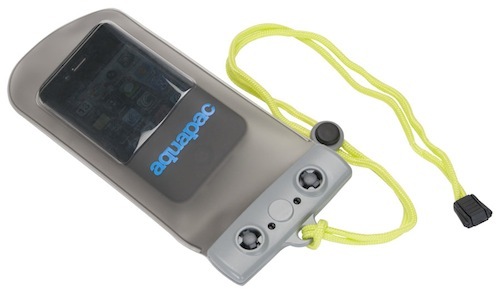 This waterproof case is submersible up to 15 feet while keeping full functionality, except for making a call, so keep that in mind if you’re planning to go spearfishing. I recommend that you tie it up to your float instead. Last but not least, it is a good idea to invest in a durable underwater digital watch. You have no idea how many times we have been out there literally for hours thinking “oh yes, we have been only out here for 2 hours or so” and then we found out that we were out for 3 or more. 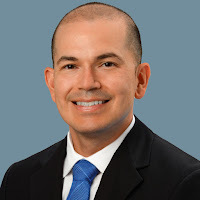 I am a fan of Garmin products and the Garmin Forerunner 310XT is a great investment because you can use it in and out of the ocean. With over 20 hours of batter life, the rugged Forerunner 310XT is a triathlete’s dream training tool. It is GPS-enabled, water-resistant to 164 feet, and sends data wirelessly to your computer. Mahalo for reading and catch you later!